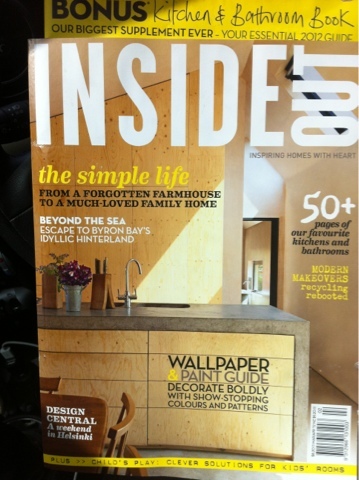 Grab a copy of the new inside out magazine...their biggest ever! Great kitchen and bathroom supplement at the back. There is 5 pages on our recent award winning kitchen!!! Let us know what you think, also a great snap of Simona & Darren. Got our copy today looking forward to a coffee, some sun & a read!